Minister of public enterprises Pravin Gordhan on Tuesday strongly denied that the South African Revenue Service (Sars) was “in a mess” that necessitated the review of its structure and operations that Tom Moyane, then the Sars commissioner, ordered. He indicated that the GuptaLeaks investigations had shed light on possible motives for the review, and repeated his belief that the resulting reports had assisted in “connecting the dots”. 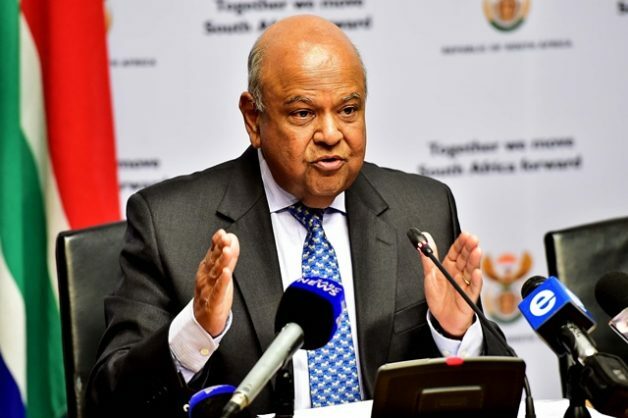 Gordhan was the first witness before the Commission of Inquiry into Tax Administration and Governance at Sars, which started its public hearings yesterday (Tuesday, June 26) in Pretoria. At the beginning of the hearing presiding judge Robert Nugent said much of the material that the commission will analyse will be contained in documents that won’t be dealt with during public hearings. He said that apart from the documents, the commission is receiving affidavits and oral testimony. Nugent said the commission will be as transparent as possible and would make the record of the inquiry available to the public, except where taxpayers’ tax information has to be kept confidential. Gordhan testified mostly about events during his tenure as Sars commissioner from 1999 to 2009. Nugent said he might be called back later to testify about events during his tenure as finance minister. Gordhan described at length how Sars was transformed from a rigid bureaucratic government department dominated by white South Africans, with less than 5% of the population registered as taxpayers, to an autonomous, integrated organisation that was among the best in the world, with increased diversity and strong growth in revenue and registered taxpayers. He said government took lessons from other nations and clearly understood that tax compliance established early in a democracy informs the economic and fiscal path of a nation. After the democratic government took office in 1994 fiscal sovereignty still had to be attained, he said. This entailed the reform of tax policy as well as tax administration. In 1996 Trevor Manuel as finance minister and Gill Marcus as his deputy acted on the earlier Katz Commission Report into Tax that made recommendations to broaden the tax base and establish a good tax administration, including customs. They established Sars and took lessons from the UK and Sweden. Gordhan said Sars staff understood that their function had a higher purpose, since the revenue collected could be used to redistribute wealth in the country following apartheid. The staff knew they were reinforcing democracy by providing the resources to address the apartheid legacy. He described how a culture of humility and service was established among staff, how young black professionals were given opportunities to grow, and how integrity became entrenched. Sars became an employer of choice, he said. Sars started differentiating between different groups of taxpayers and provided appropriate service to each. It developed systems and processes, and improved its enforcement capability. By 2004 the character of top management had changed completely from the earlier all-white team, Gordhan said, adding that this was achieved without anybody being fired. “Whites were satisfied to move into specialist roles,” he said. Separate units were developed to cater for different clients, including the Large Business Unit, Gordhan explained. Judge Nugent asked him whether this development continued under the leadership of his successor, Oupa Magashula, and thereafter acting commission Ivan Pillay. Gordhan confirmed that it had. Nugent then asked Gordhan why a major review of Sars was undertaken at huge cost at the end of 2014, beginning of 2015. This was under the instruction of then commissioner Tom Moyane. Gordhan explained that he was reappointed as finance minister in December 2015 after former president Jacob Zuma fired Nhlanhla Nene, and immediately asked for an explanation from Moyane. He also instructed Moyane to stop any changes at Sars, including the dismantling of the very successful Large Business Unit, but Moyane defied him. The review was undertaken by consultancy firm Bain & Company, which had a representative at the hearing on Tuesday. Gordhan said the narrative is that Sars was in a mess at the time. “This is untrue,” he said. He accused Bain & Company of recently visiting newsrooms to forward that narrative. Gordhan said the revelations from the GuptaLeaks later helped to “connect the dots”. Evidence leader advocate Carol Steinberg put it to Gordhan that the two reasons forwarded for the Sars review were that the modernisation “left people behind” and that there was a lack of affirmative action and black economic empowerment (BEE) procurement at Sars. Gordhan denied this. He said that neither the trade unions, which were well organised at Sars, nor the human resources division ever raised the matter of people being “left behind”. The IT processes also ensured that there was training and evaluation of people to ensure that they adapted. He said the executive committee as well as the management of all Sars offices changed face under his leadership and that BEE procurement reached 61% to 70% at times. “The numbers speak for themselves,” he said.